Eight years ago, my blogger friend Teri Conroy (she’s the owner of the peaceful llama farm Wunsapana Farm in Altamont) gifted me a Rolleiflex Automat MX camera, a medium format twin lens reflex gem. I’ve shot dozens of rolls of print and slide film through it, and recently it’s been my camera weapon of choice for infrared film. 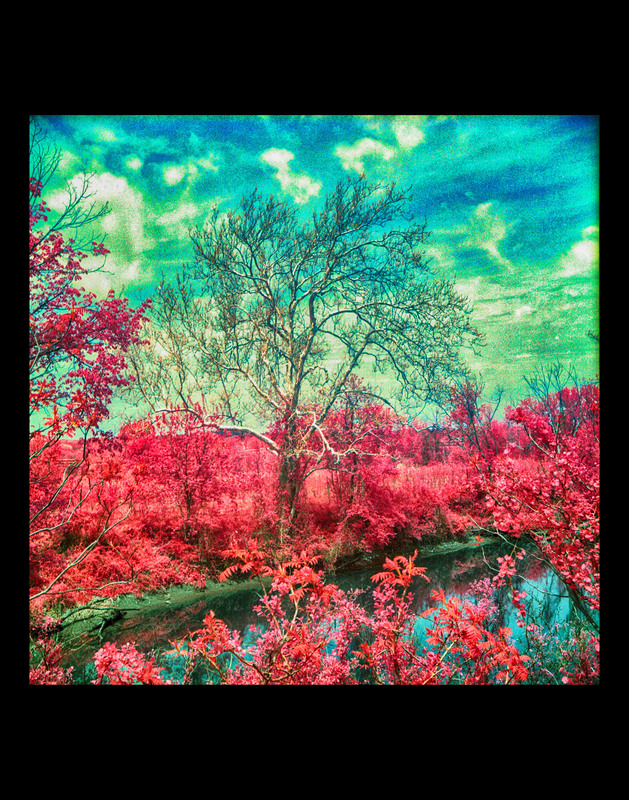 Three years ago, my photography friend Dean Bennici turned me on to color infrared film, and I’ve shot it – along with various filters – through both my Rolleiflex and my Kodak Medalist II. I’ve captured the beauty of the invisible spectrum in shots like Aerochrome Falls and Parabola through these shooters. Last year, Dean alerted me that he had acquired some color infrared print film, and I purchased some some of his rolls. in that experimental time, I snagged an ethereal shot of the tree and stream near Exit 6 of I-787. Yep, I pulled over, jumped out of the car, and got this shot. Infrared Horizon 787. Color infrared film, Rolleiflex Automat MX camera. Photo (c) Chuck Miller, all rights reserved. Seeral months ago, I employed the services of a California print company, Artbeat Studios, to create an aluminum print of Infrared Horizon 787. It arrived in a big wooden crate and the artwork looked stunning. This wasn’t just my normal 16×20 foam-boarded and dry-mounted piece. This was art gallery specs. I entered Infrared Horizon 787 in several photo competitions, and it finally took a silk at the Durham Fair. But its biggest claim to glory came last night. It sold at the Albany Institute of History and Art’s art gala Work of Art. Sweet. Getting my work into Work of Art was daunting enough. Only thirty pieces were selected overall. 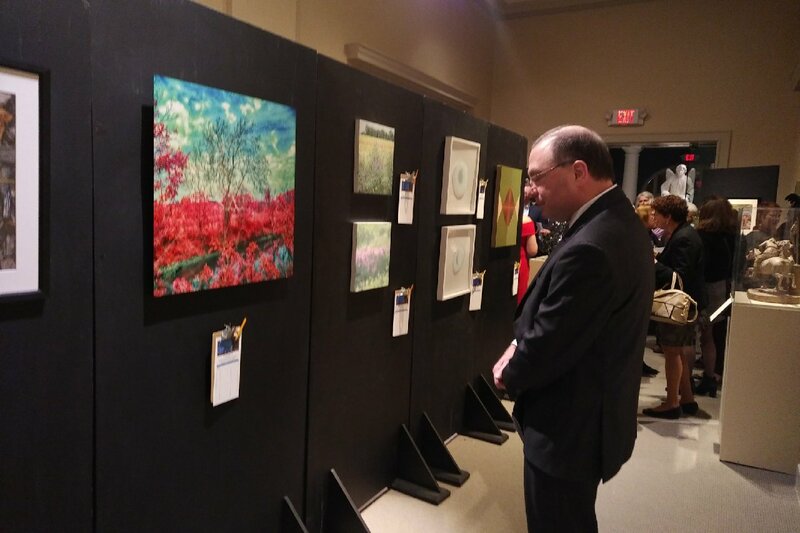 And at last night’s silent auction – the proceeds from the art sales are split 50/50 between the artist and the Institute – there was my one-of-a-kind aluminum print of Infrared Horizon 787, on display with some amazing paintings and etchings and prints from the Capital Region’s top artists. And as people walked past the artwork, examined it, they asked so many questions and I tried to answer every single one. Yes, this was shot with film. No, I didn’t use some weird Instagram filter to get those colors. Yes, I can still get film developed. No, I don’t do it myself, I use McGreevy Pro Lab in downtown Albany. And then, I realized. Chuck, you’re doing it again. You’re being a helicopter parent and that artwork is your kid at a recital. Step back. 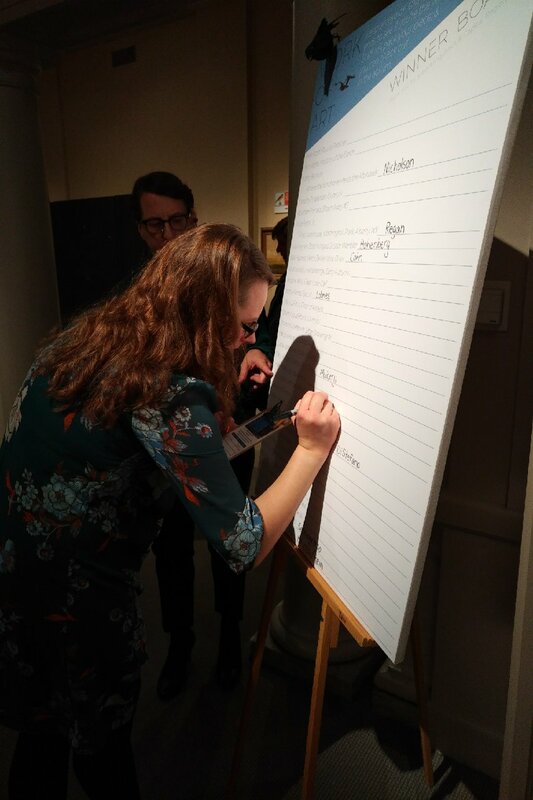 And then… as I was at the far end of the gallery … I saw someone take the little golf pencil from the clipboard, and write down a bid on the bid sheet. Infrared Horizon 787 has a bid! Aces!! And at the end of the night, the staff claimed all the bid sheets, and wrote down the winning name for each bid on a big tote board. And in the end, I met the winning bidders for Infrared Horizon 787. They’re art collectors and they really appreciated my creation and wanted it for their home. This is awesome. Wicked awesome. Because at this moment, I realized that Infrared Horizon 787 was part of a museum art show. I can put that on my artist’s resume. And since I’m never going to print another copy of this picture on aluminum, that piece is one of a kind. Smooth. Trust me, folks … we ain’t done yet.